A healthy pet has a healthy mouth. Regular professional cleaning is important to maintaining your pet’s teeth and gums, especially for canines, who rarely acquire cavities but are far more prone to gum disease. At West Flamingo Animal Hospital, we use modern and safe ultrasound technology to clean each tooth thoroughly, both above and below the gum line to eliminate plaque, tartar, and gum discoloration. 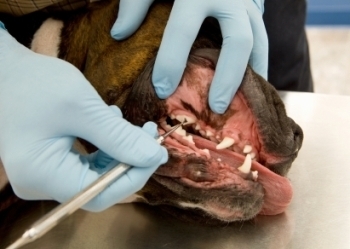 Only veterinary dental technicians licensed by the State of Nevada work on each patient and culminate the cleaning by polishing the teeth to create a smooth tooth surface more resistant to future plaque buildup. Just like your dentist, our veterinarians supervise each dental procedure, take digital x-rays, administer our “OraVet” enamel treatments and provide advanced services, such as tooth extraction. Does your pet have a healthy mouth? Knowing the warning signs of gum disease can sustain your pet’s health and help your pet to live a longer,happier life. 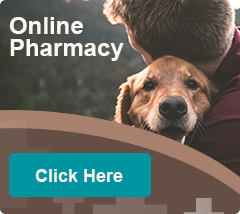 Bad breath odor, swollen red gums, a yellow-brown buildup of tartar in the gums, and bleeding or pain sensitivity to touch are all signs that your pet should see one of our veterinary dentists.